The Craven Drydock sank near Marrowstone Island in 1981 while being towed from the Lake Union Drydock Company in Seattle to Port Hadlock. The owner of the drydock had been served with a court order to vacate the lake and had hired a tug boat company to tow the rickety vessel based on a falsified performance bond. The dock began taking on water while fighting the heavy currents in Admiralty Inlet and the pumps could not keep up. The tug eventually realized they were going to lose their tow and stood by to watch her final plunge into the sea. 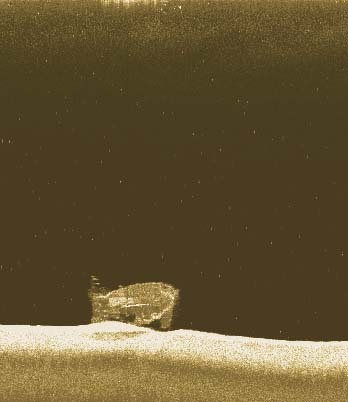 At about midnight, the dock “did the Titanic”, raising up 70° into the air. As she started going down, the hull began to scream as the air pressure was being forced out. 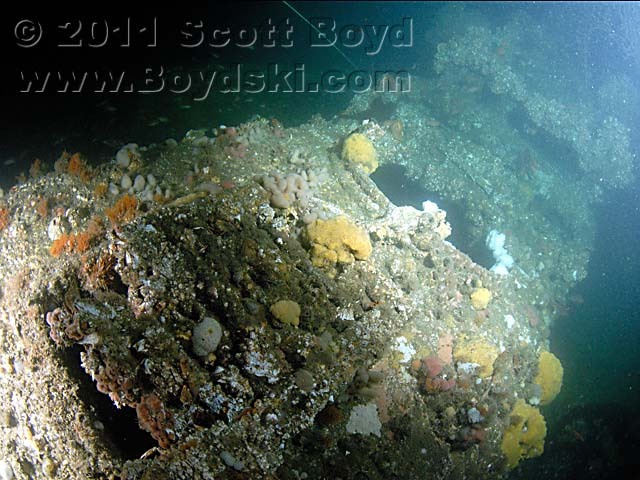 Water and broken timbers spewed from the wreck like a geyser and rained down all around the tug. Then the screaming suddenly stopped and she slid silently beneath the inky surface of the water. The wreck settled on the bottom in deep water, with the wing walls and office structure projecting several stories up into the water column, all but forgotten except by the occasional fisherman that snags their net. 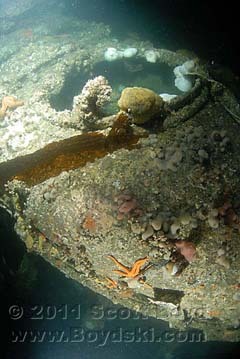 The location of the dry dock was re-discovered by Scott Boyd on June 24th, 2011. 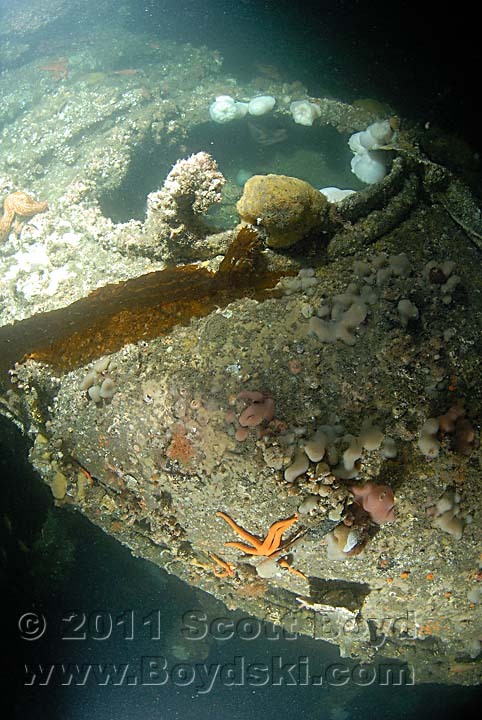 Today, the Craven Drydock makes for a VERY exciting dive. The currents at this location are extreme and never really stop. 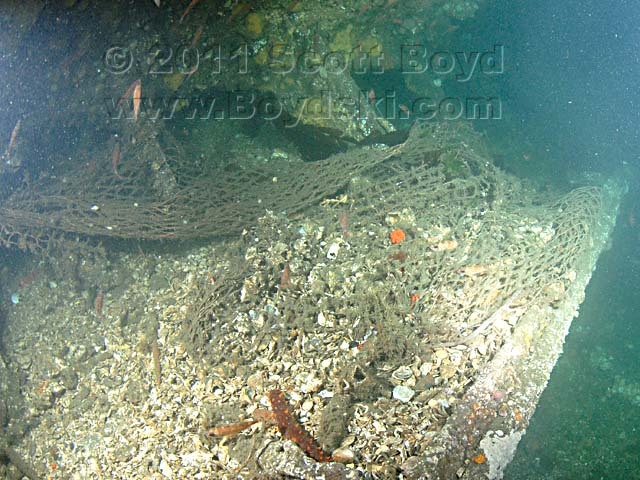 This makes the dive quite a challenge, but also creates a huge artificial reef that is just teaming with life. 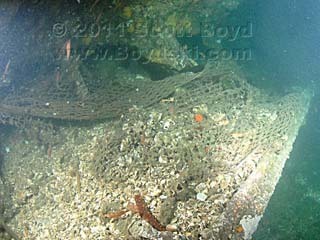 Both Jeff Carr and I remarked on surfacing from our first dive on the wreck that we had spotted several of the biggest Ling Cod we’d ever seen in our combined 30 years of dive experience. 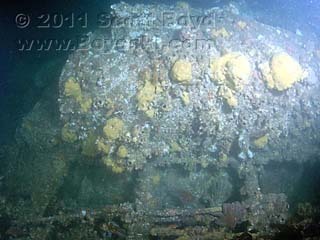 There are also a wide variety of colorful sponges, rockfish and invertebrates on the wreck. We also both enthusiastically commented on the current reversal that had appeared about half way down the line, switching from the 1 knot southerly current on the surface to a 3 knot northerly current on the bottom. 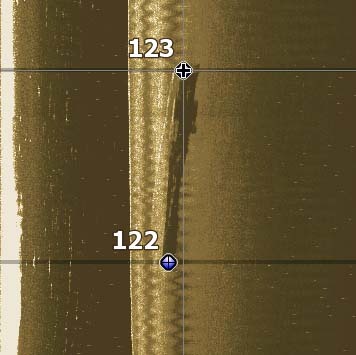 Be forewarned, even diving on a very, very small tidal exchange, the down line made a 90° bend at the current shift depth. of the wing walls. Be very careful! dock at more than 100' long.